Please come on out if you want to help with the annual sprucing up of the PPP! A couple hours of our time makes in big difference in the appearance of our local park. 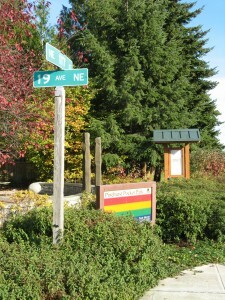 The park is at the corner of 19th Ave NE and NE 117th St.
We’ll spend some time weeding and then spread some fresh bark mulch. So bring your favorite weeding tool and a bucket. A pitchfork and wheelbarrow could also come in handy.